Precise point positioning (PPP) requires careful modeling of several error sources affecting GNSS observations. Additionally, consistency between the network and user software is essential to obtain the upmost accuracy. Unfortunately, an inconsistency affecting the CSRS-PPP software has been causing, for a few years now, a height bias of several millimeters. The online PPP service offered by the Canadian Geodetic Survey of NRCan has been available since 2003. It processes, on average, about 1000 RINEX files daily, fulfilling the positioning needs of Canadians and the international community. The PPP landscape having evolved significantly in the last few years, the underlying PPP engine will be replaced by a new version on August 14th 2018. With ongoing work at NRCan aiming at offering an online PPP service supporting ambiguity resolution, we performed a validation exercise consisting of processing nearly 40 permanent GPS stations in eastern Canada over a 10-year period. 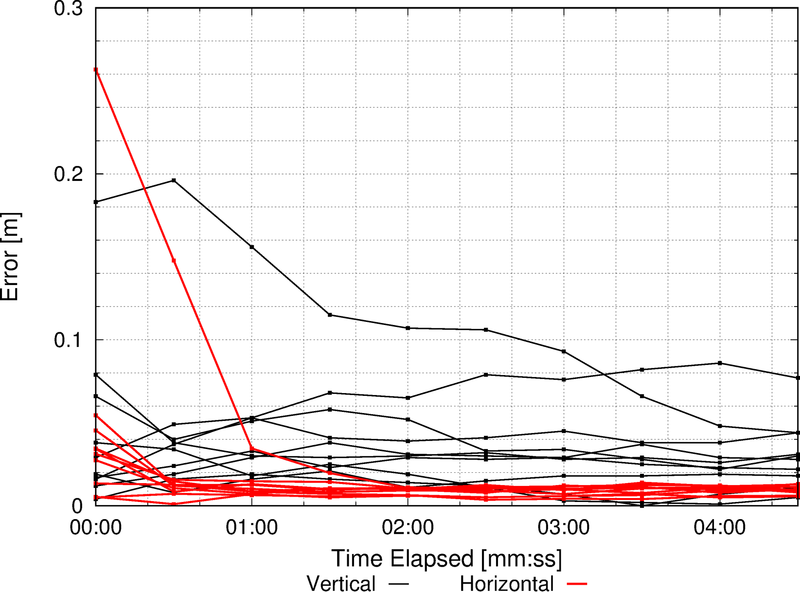 As a by-product of this analysis, we computed station velocities and compared them with the values derived from the Bernese network solutions done at NRCan. The results were published last week in Survey Review and I am offering a short summary here. 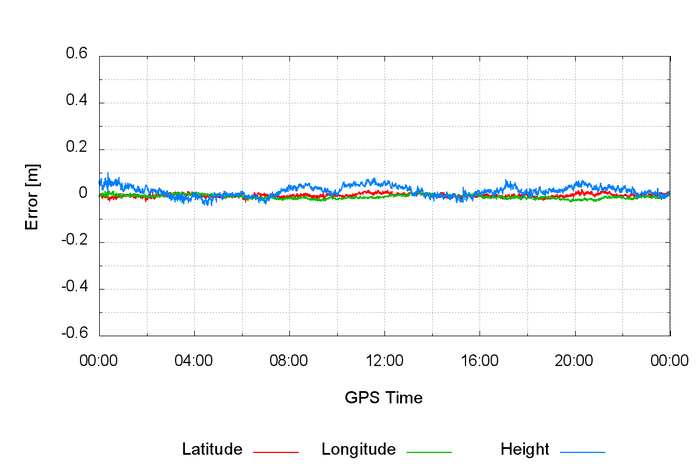 Hardware delays, or biases, affect GNSS carrier-phase and code measurements and must be properly accounted for in high-accuracy positioning. 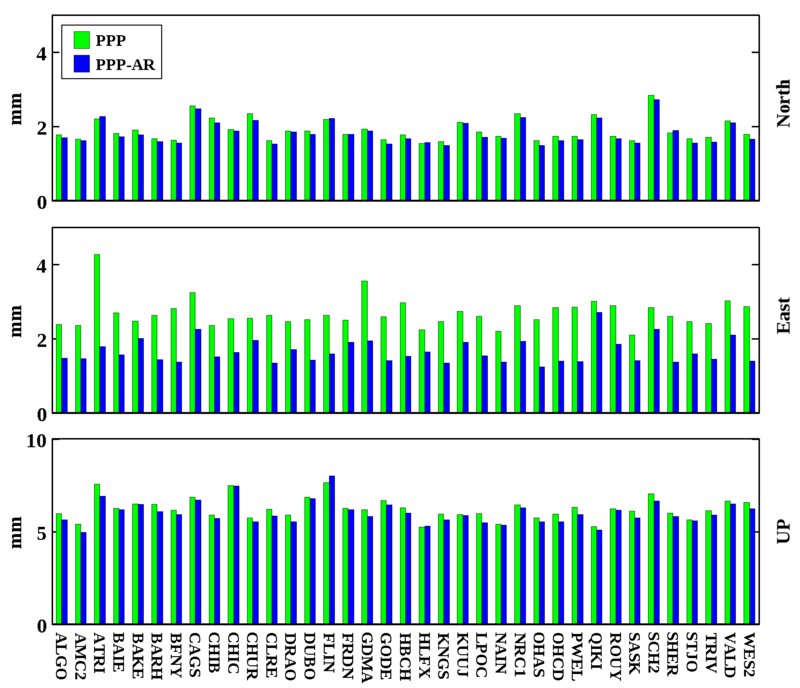 Several models were proposed to handle biases in precise point positioning with ambiguity resolution (PPP-AR), all of which can be cast in an uncombined representation. In this post, I explain the unified processing scheme that I am using in my software to deal with common PPP-AR products. The extension of network RTK to larger networks is facilitated by a state-space representation of error sources, and is often associated with the term PPP-RTK. 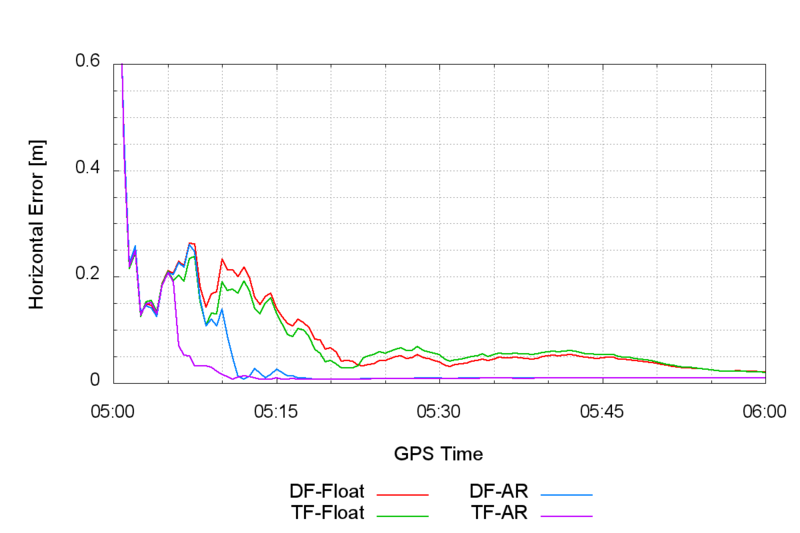 By adding atmospheric corrections to satellite orbit and clock corrections, it is possible to obtain fast convergence and seamless transition from a network RTK to a PPP solution. While this concept has been introduced nearly 15 years ago, there are still very few providers of PPP-RTK services at a global scale. Is this about to change? 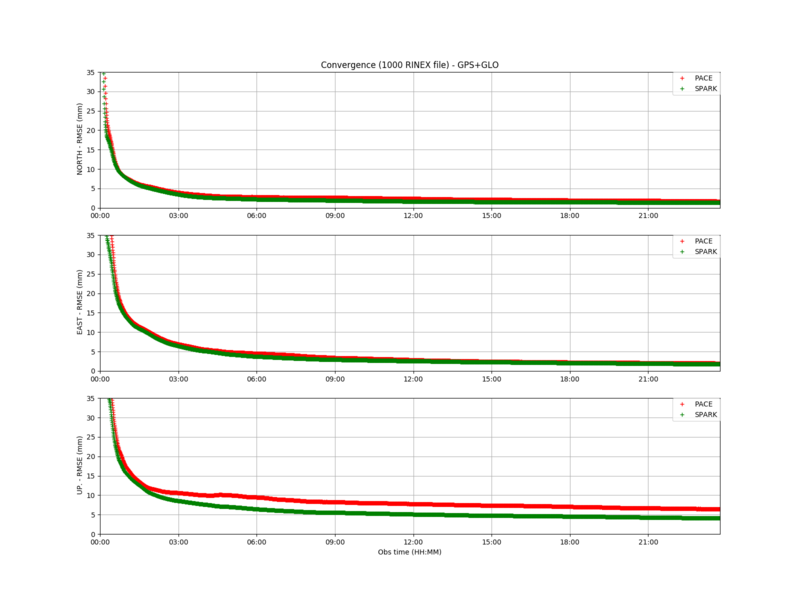 GLONASS ambiguity resolution in PPP is a challenge, mainly due to the presence of inter-frequency code biases. 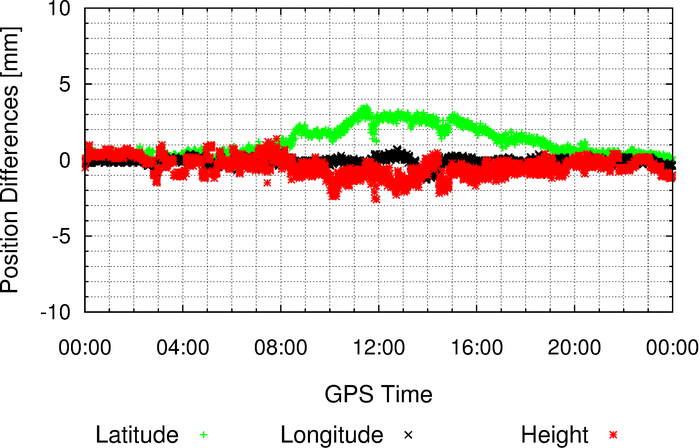 The are thus two common ways of fixing GLONASS ambiguities in PPP: 1) have a dense network of reference stations to accurately measure between-station slant ionospheric delays; and 2) use a network of stations with homogeneous equipment. However, when using IGS stations, none of these two methods can be successfully applied on a global level. Fortunately, there is another solution.